Read about the many issues and matters that were discussed at the last Council Meeting held on May 28, 2016. All are invited to attend the Cayman Islands Regional Mission Council's Convocation 2016! 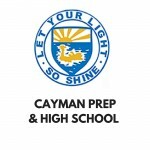 On April 24, at the Cayman Prep and High School's Auditorium!